Valley House is a perfect venue for your large family or group to enjoy. 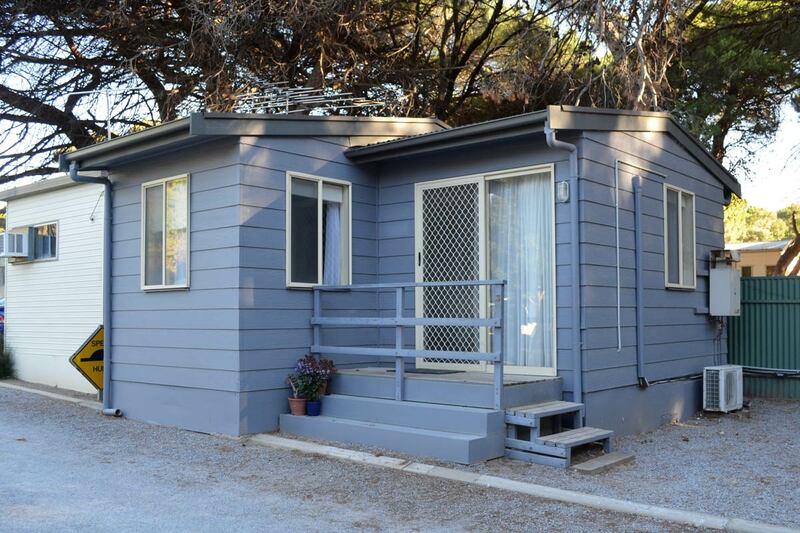 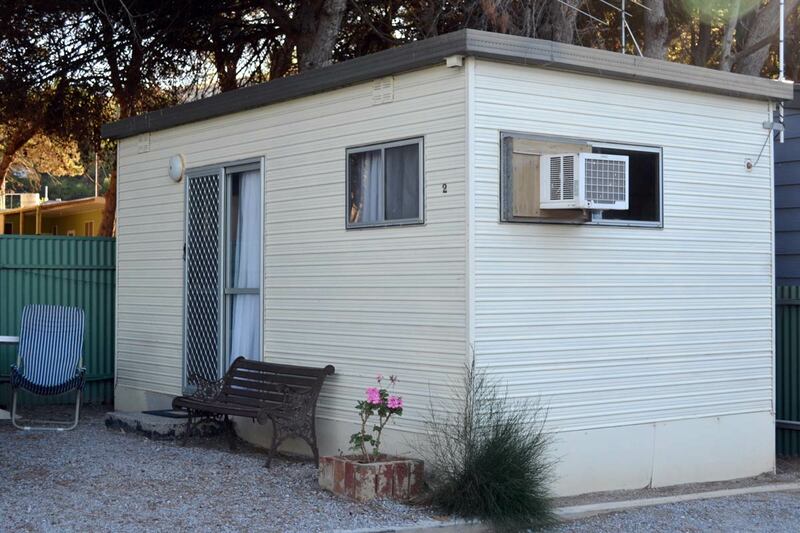 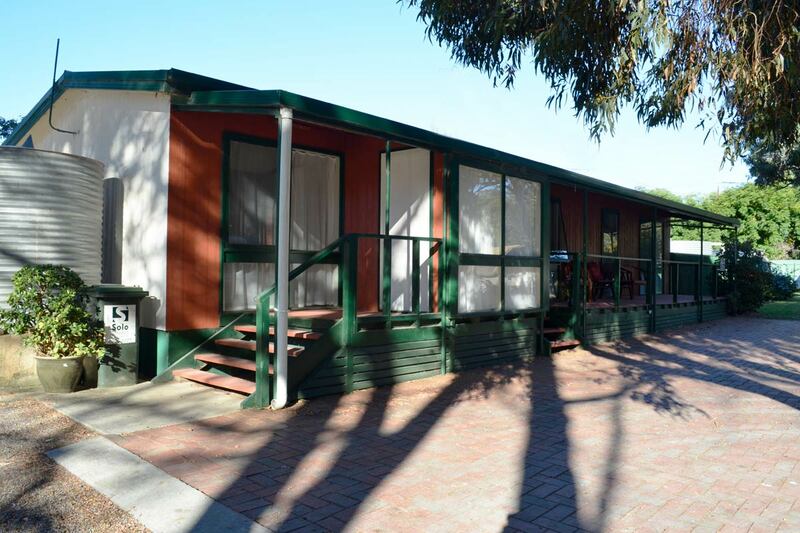 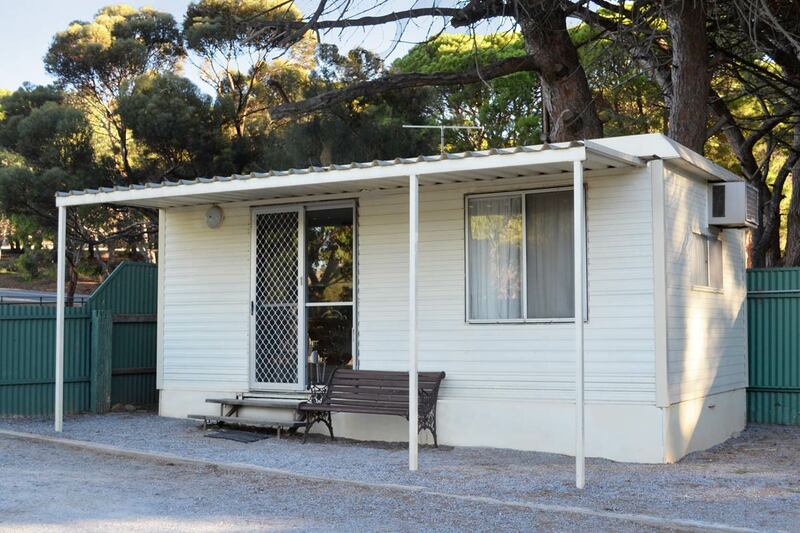 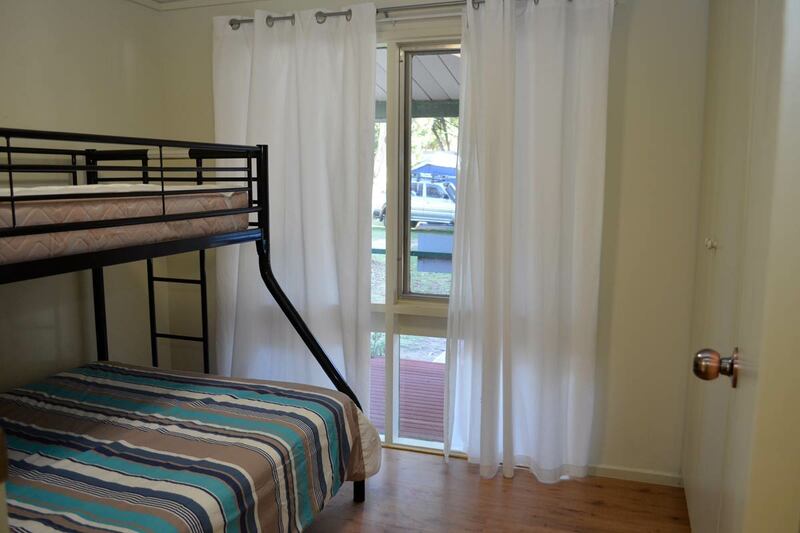 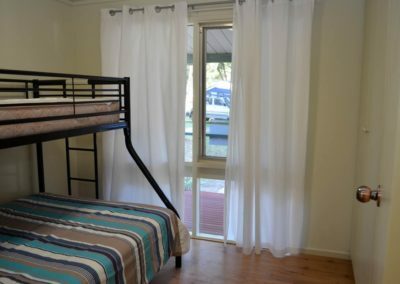 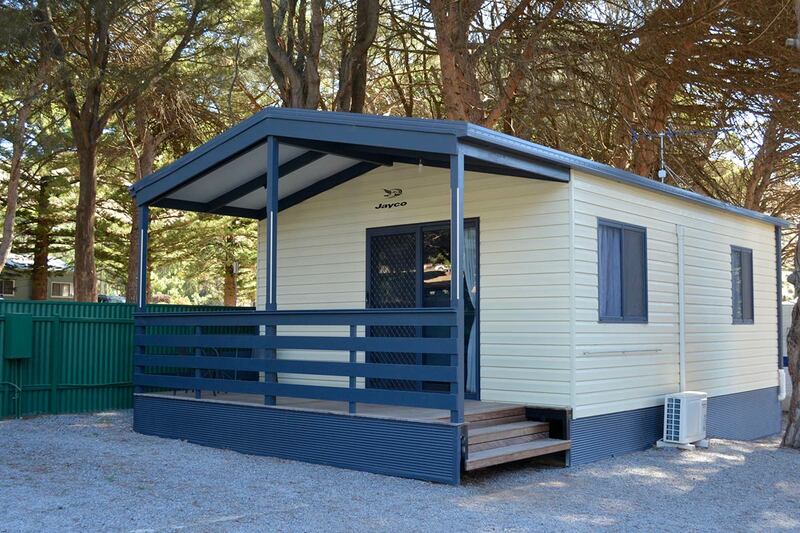 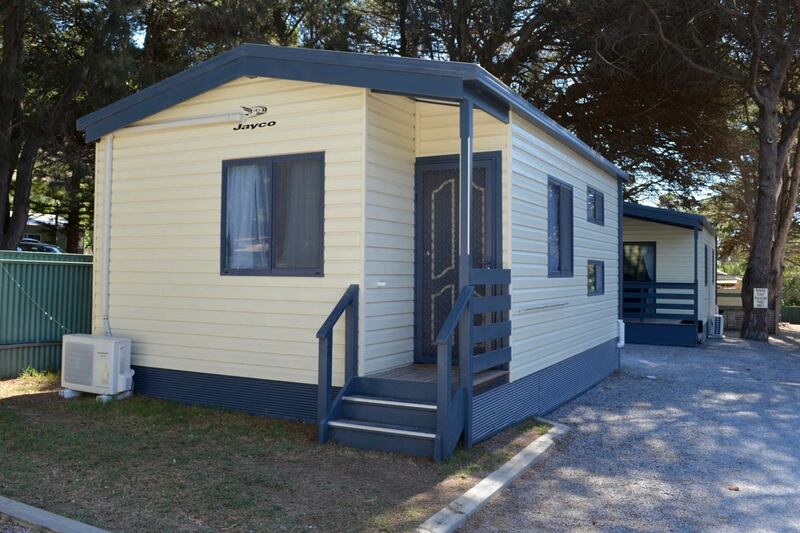 Situated in the grassy grounds of the park, it offers a spacious, comfortable alternative to cabin accommodation. 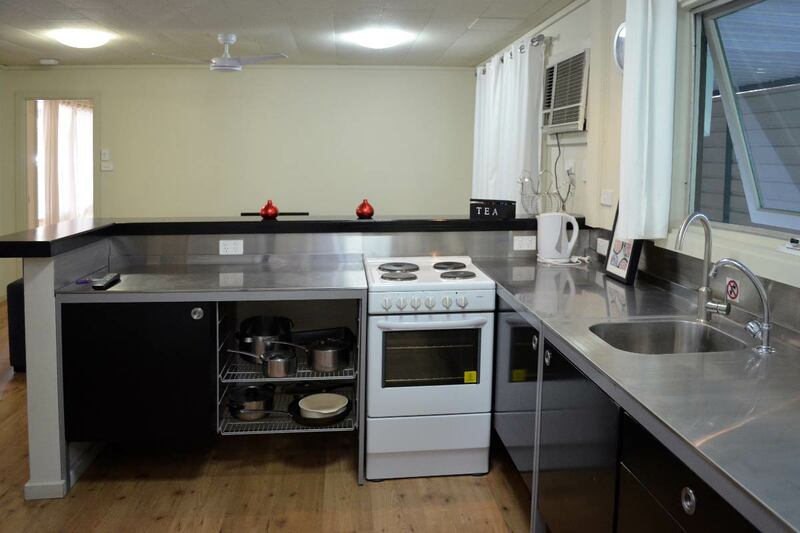 Boasting a full sized kitchen with open plan living, the outdoor areas include a sheltered front verandah and a fully enclosed private BBQ and entertaining space at the rear of the house. 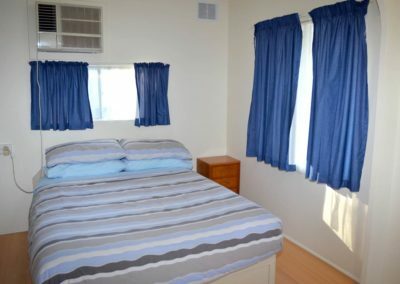 Secure under cover parking for two cars. 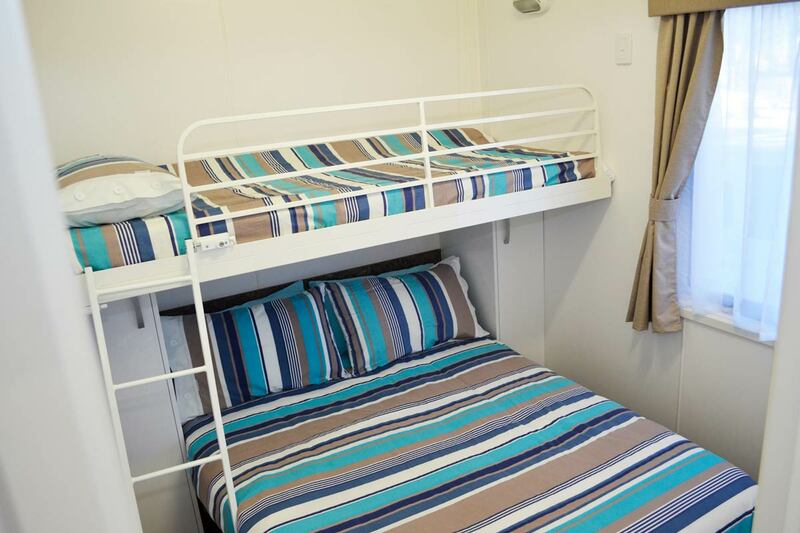 Newly installed, offering superior standards of design, finishes and appointments, these cabins are a home away from home for your holiday enjoyment. 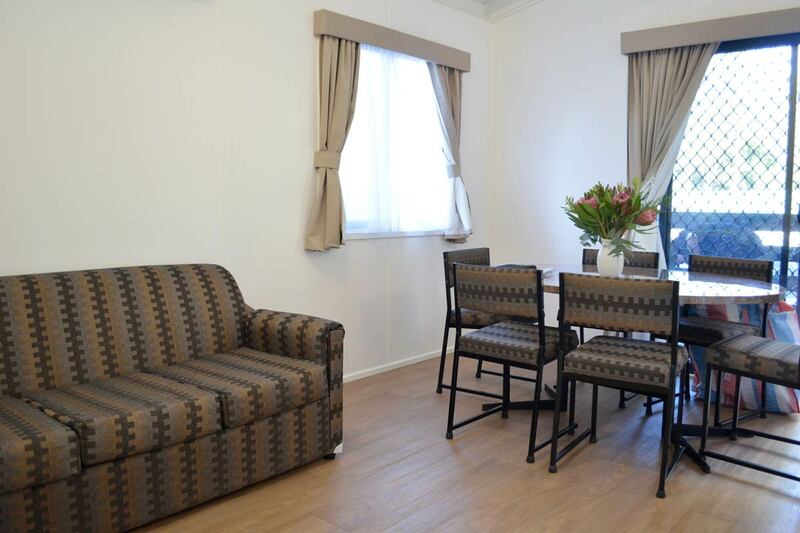 The private en-suite facilities, sparkling kitchens and dining areas offer space and privacy for a family or group to enjoy and relax. 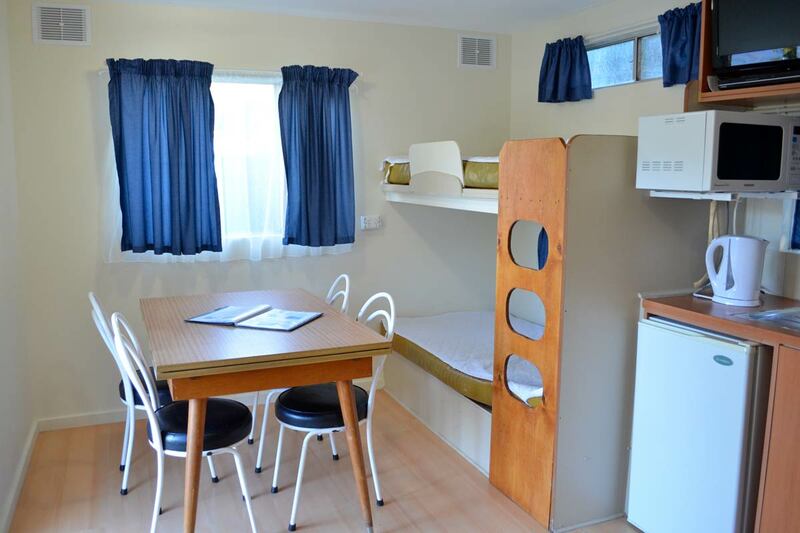 Perfect get-away for two with room for a port-a-cot if you are now three! 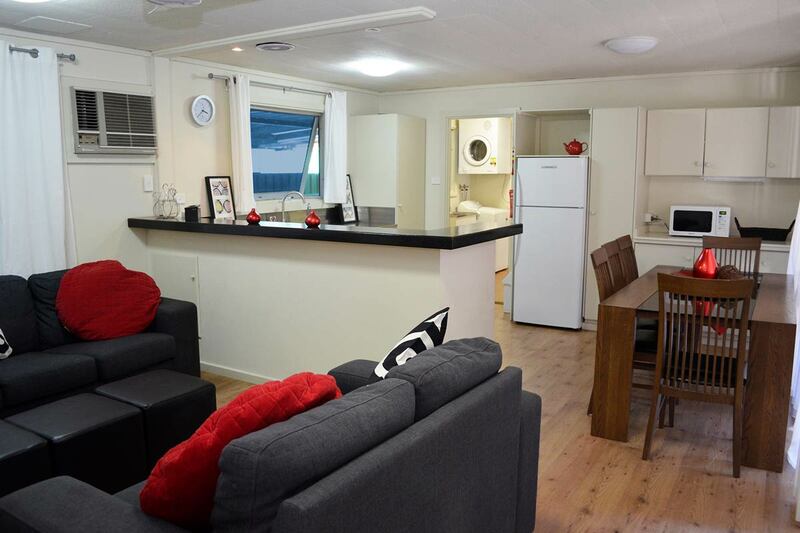 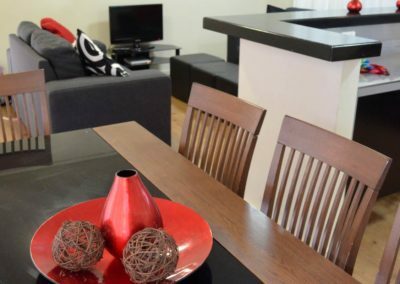 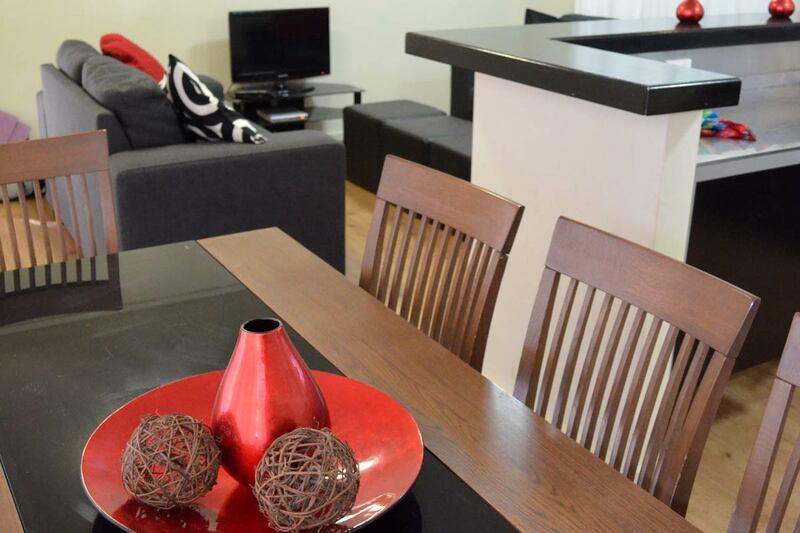 This cabin is modern in design and furnishings offering bright and relaxed accommodation with a modest price tag. 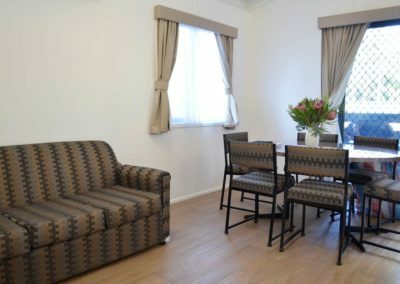 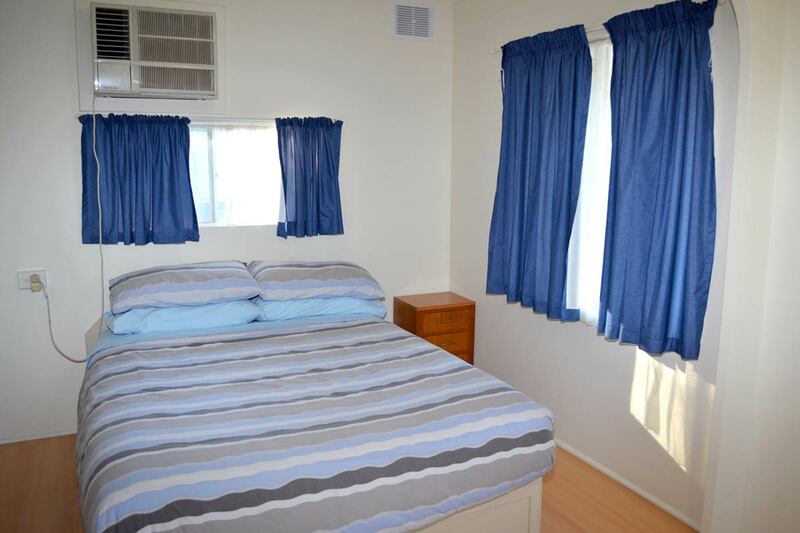 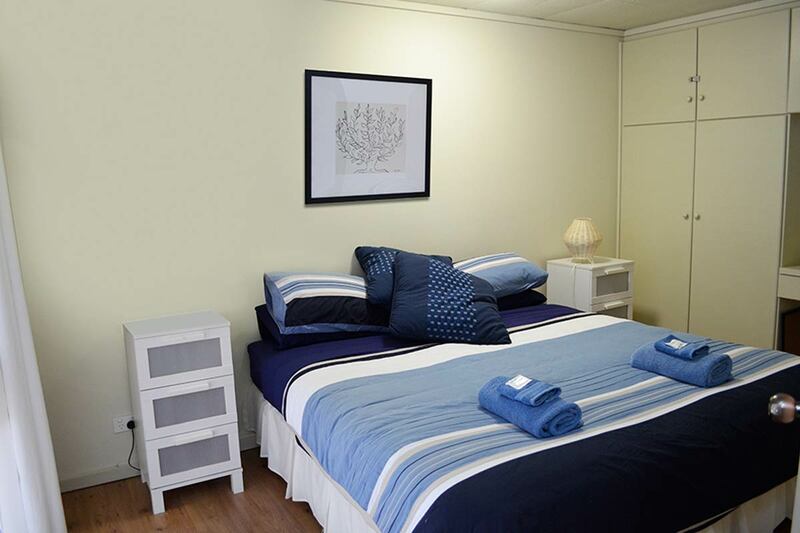 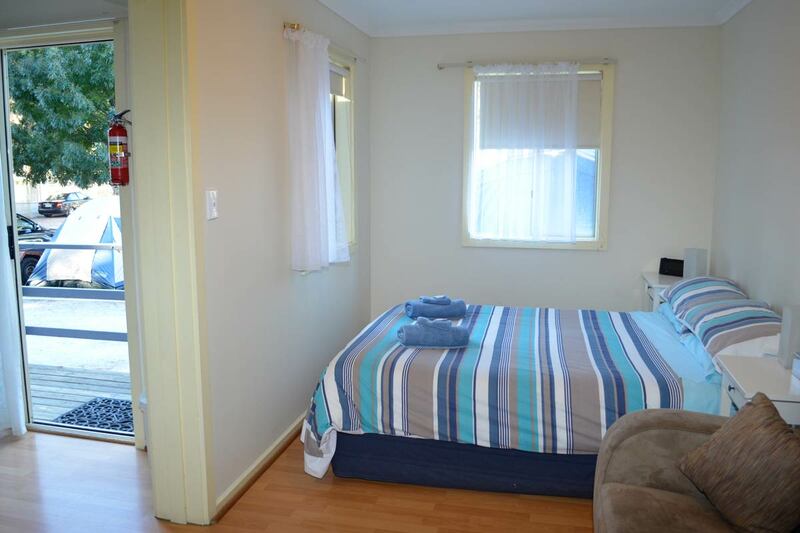 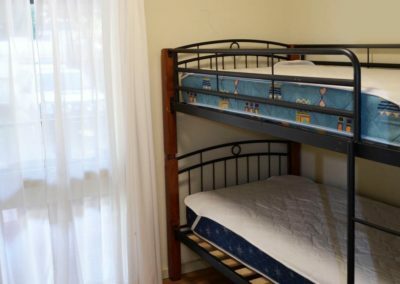 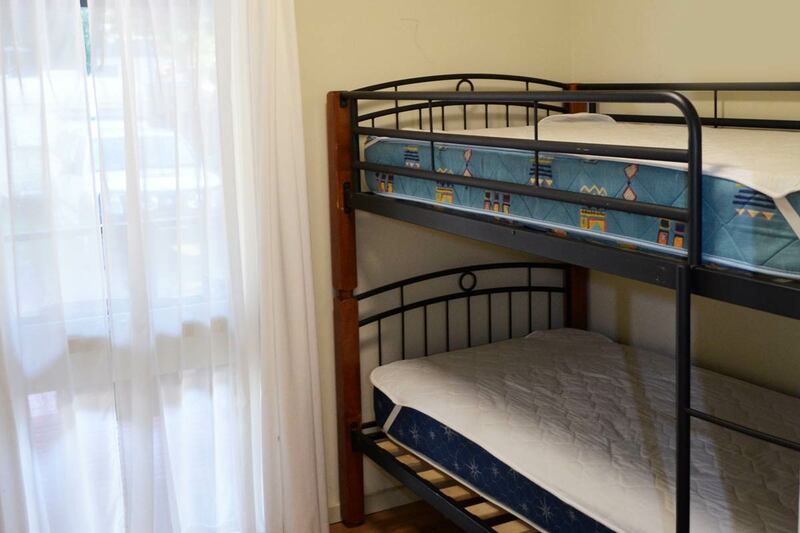 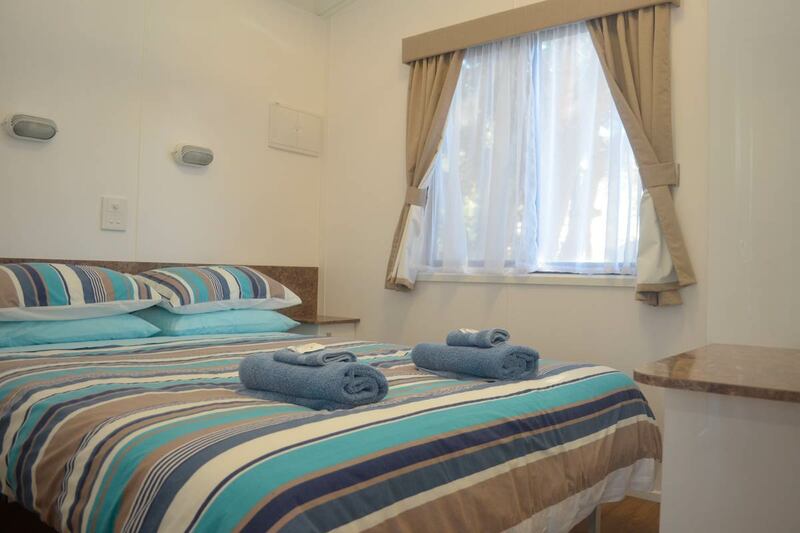 Comfortable accommodation for your small family or group at affordable tariffs. 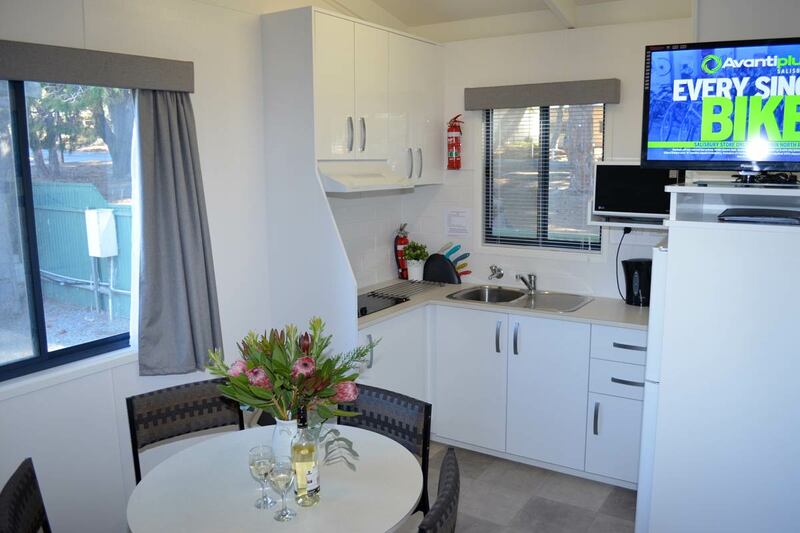 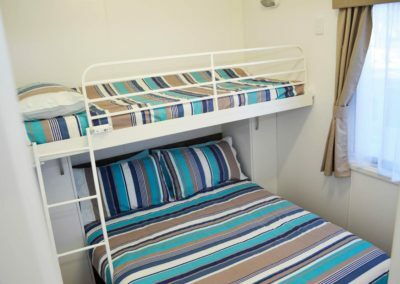 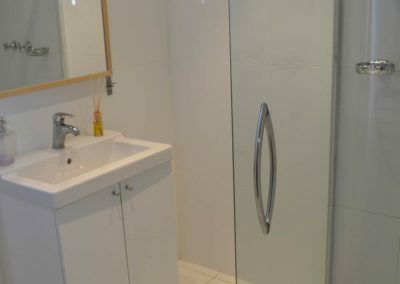 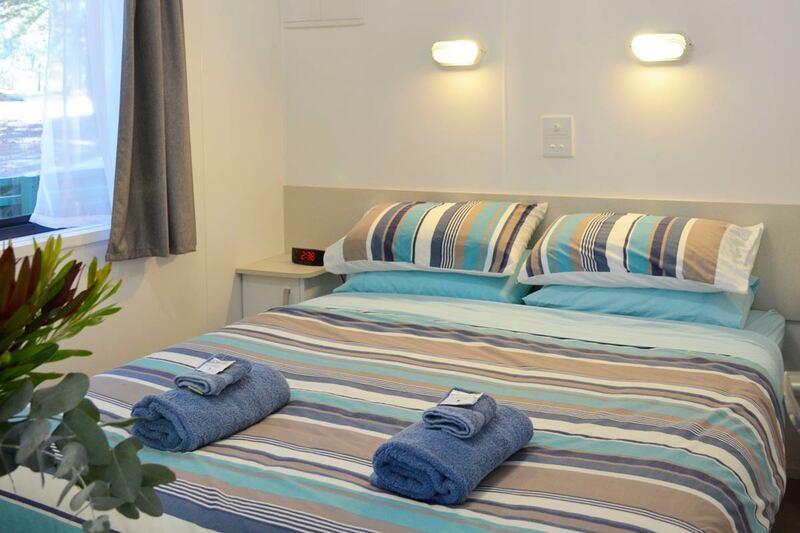 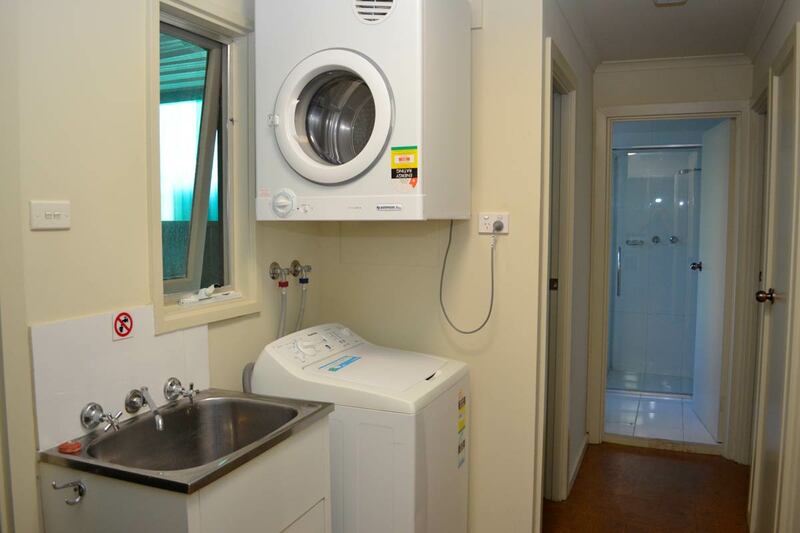 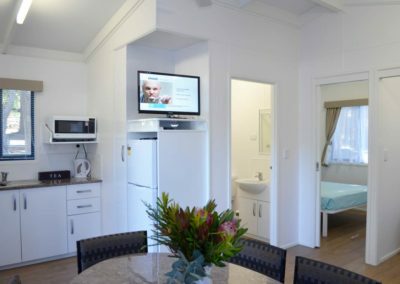 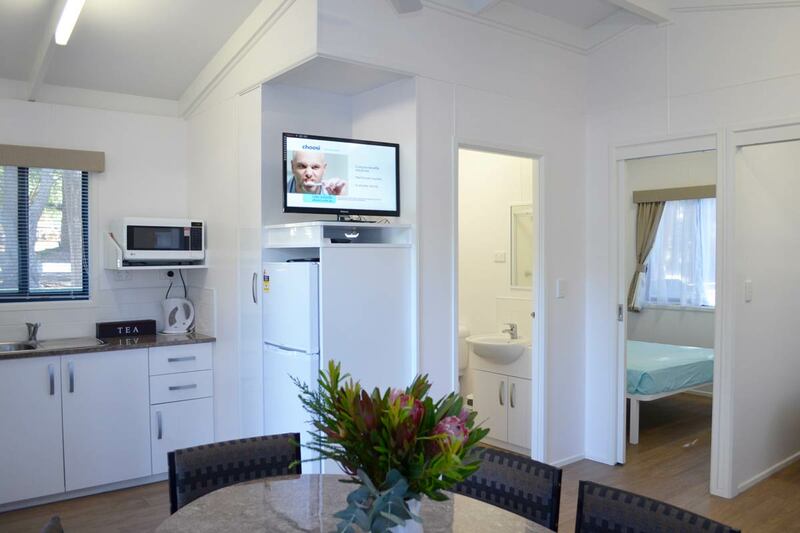 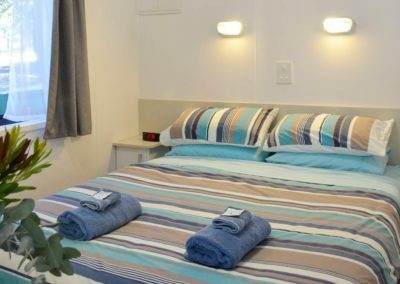 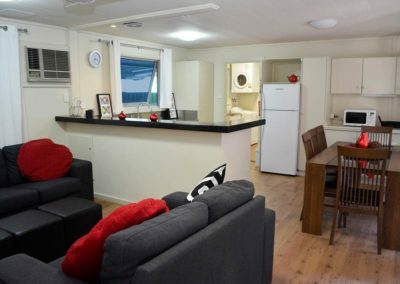 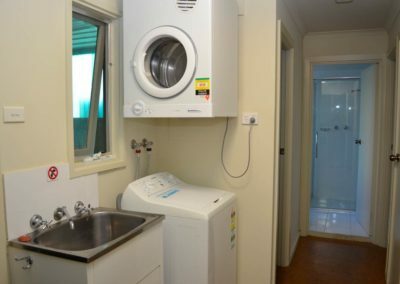 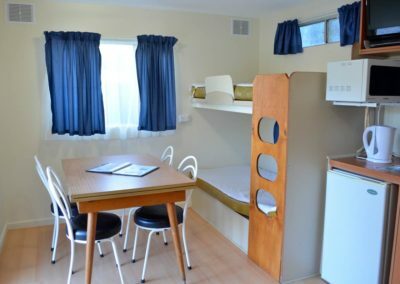 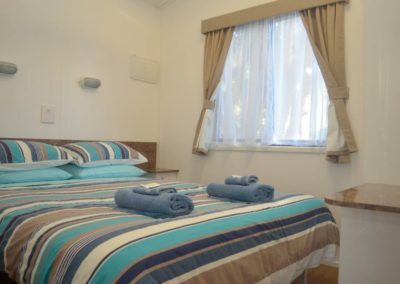 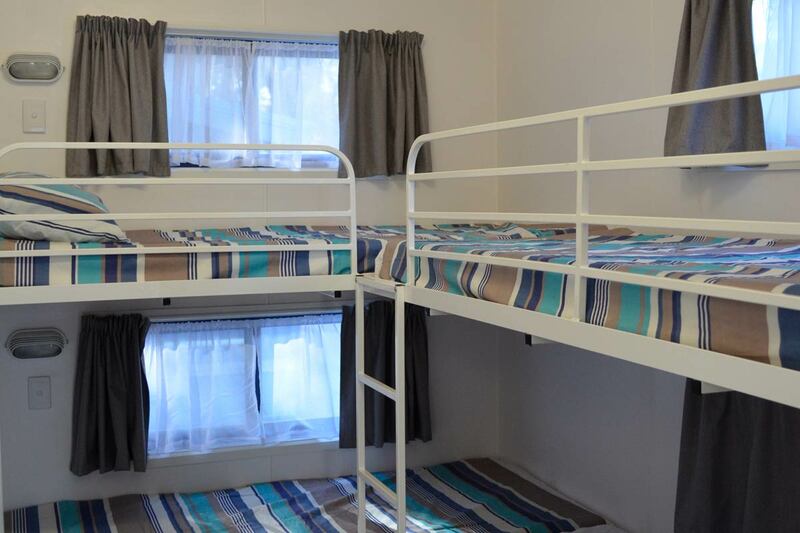 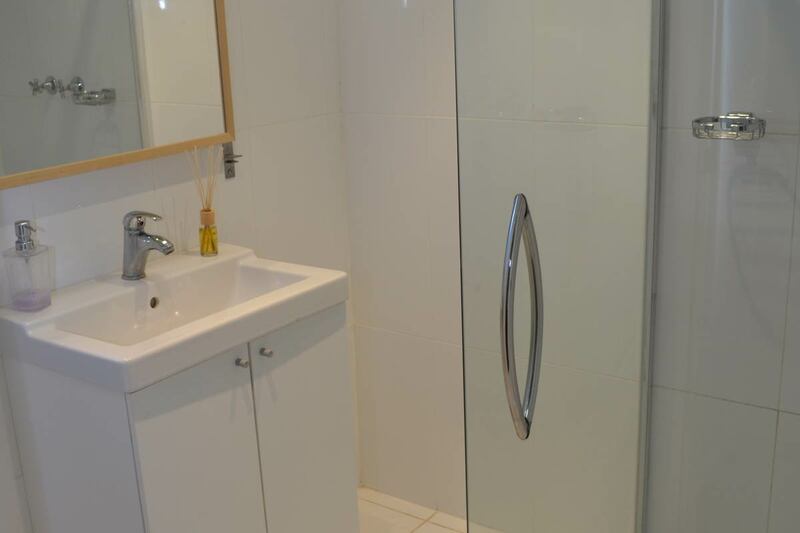 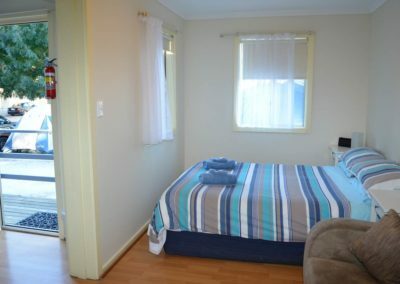 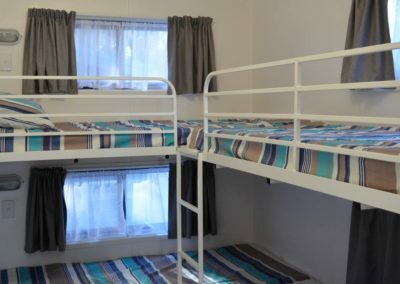 Cabins are just a brief stroll to the amenities with private shower units, offer the security of your own abode, whilst enjoying the caravan park atmosphere. 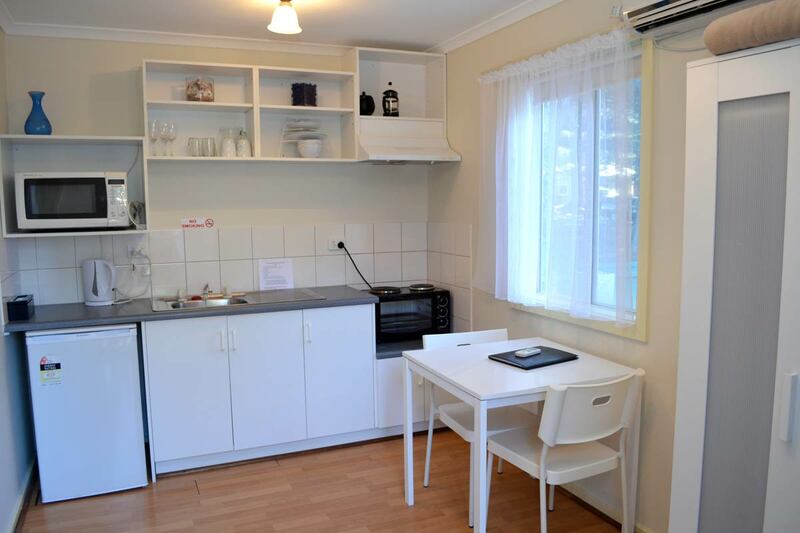 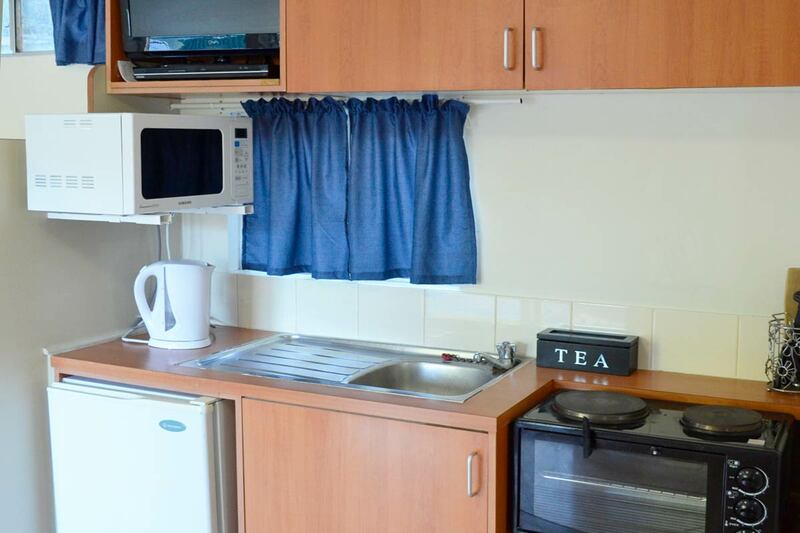 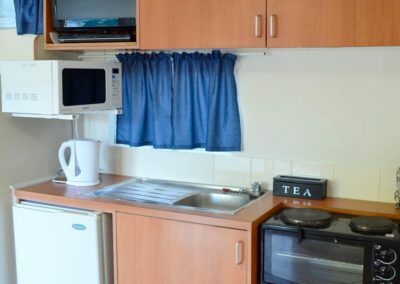 Complete with microwave, toaster, kettle, crockery and cutlery.